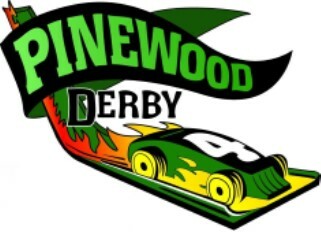 I would like to thank everyone who helped with the 2018 Pinewood Derby! Next to the fair, it is the largest county-wide 4-H event and it takes a lot of staff and volunteers to make it happen! Many thanks to: Wendi Holschbach, Ruth Aebischer, Clarence Belitz, Jen Zutz, Kelly Isselmann, Reagan Isselmann, Sophia Meisner, Talise Meisner, Milana Meisner, Tonya Dvorak, Nichole Paulow, Tom Klesper, Russ Olp, Jim Hippert, Julie Hippert, Margaret Lenth, Pam Lane, Dave Lane, Cheyenne Lane, Ethan Lane, Savanna Lane, and Anatole Wiering. Thank you also to Goodwin Ever-Readies 4-H Club for providing a food stand at the event, and Jennell Krizek and staff at Manitowoc County Expo for hosting the event. Congratulations to all the winners! Congratulations to everyone who participated in the event! You accomplished a goal by completing your car and competing in the event! Use the Car Statistics below to help you plan for next year and to set a new goal for yourself! Round Standings lists the combined times for your 4 heats in order by racer from fastest to slowest. Average Speed (mph) isn’t an actual speed of the car, but calculated based on the scale of the car 1:25. Car Statistics lists the average, fastest (min), and slowest (max), time for your car. A higher standard deviation indicates that your car’s speed varied from race to race. A lower standard deviation indicates that your car’s speed was consistent from race to race. *If your car did not pass the finish line, the software may or may not have recorded the time for your car for that heat. Car statistics will then be based on the number of completed heats. Showcase Your Garden at the 2019 Garden Walk! The Manitowoc County Holstein Association is hosting the 2019 WI Holstein Adult Convention in 2019!